New Year New You still in effect until 28th February! 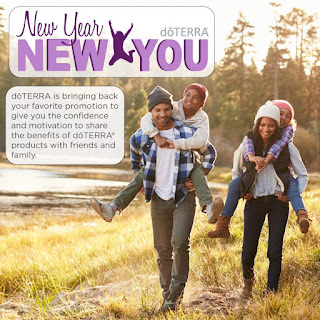 I'll be happy to host an online event for you if you want to join dōTERRA! Just reach out using the form on the left. Australia/NZ: Would you like $100 to spend on product? You still can! 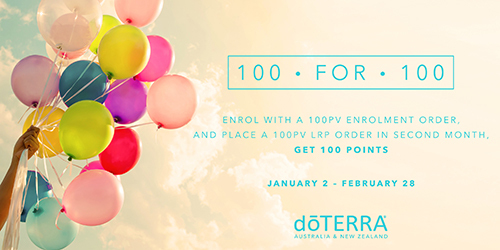 The 100 for 100 promotion is running until the end of the month!! When life starts to feel stale and predictable, we often lose our vigor, purpose, and passion for living. Whether you are looking to revive enthusiasm for your current circumstances, or reach beyond your comfort zone, doTERRA Passion Inspiring Blend can help give you the extra spark necessary to rekindle the flame of excitement in your life. 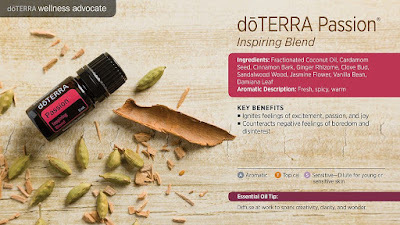 doTERRA Passion pulls the renewing properties found in herbal and spice essential oils to create a chemical profile that is high in esters and phenols. These chemical components allow the user to benefit from warming and rejuvenating properties. If it is time to extinguish feelings of boredom and disinterest and ignite your creative, innovative, and daring side, doTERRA Passion will boldly lead the way to a renewed, purposeful life. 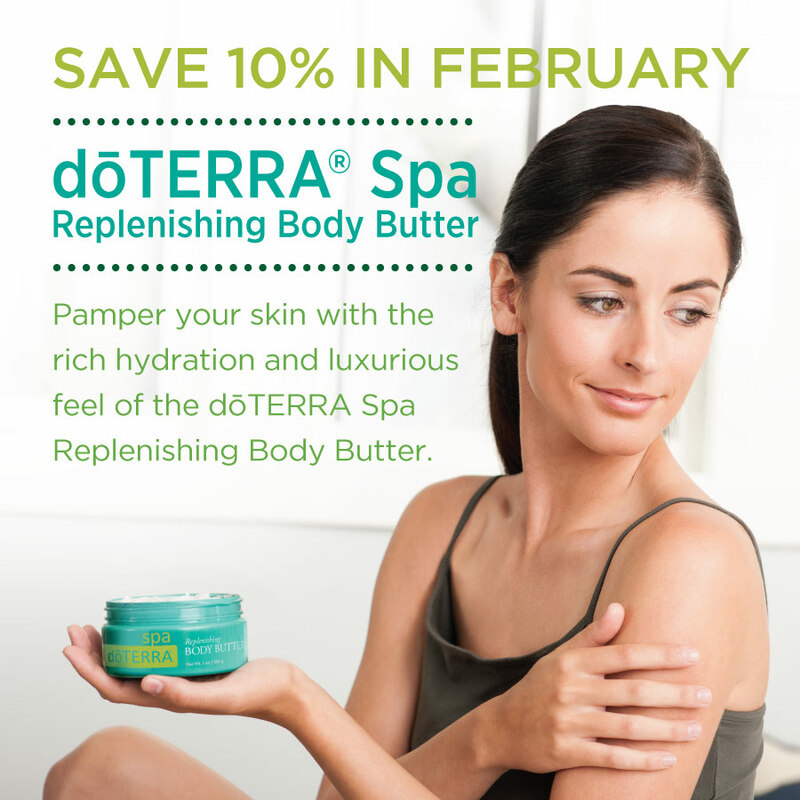 Pamper your skin with the rich hydration and luxurious feel of the doTERRA SPA Replenishing Body Butter. The base of this natural formula combines shea and cocoa seed butters, known for their deep moisturizing abilities and ability to promote skin suppleness. Jojoba seed oil absorbs quickly into the skin and helps keep skin looking hydrated while avocado oil provides essential fatty acids to nourish and soften skin. CPTG® essential oils of Wild Orange, Douglas Fir, and Frankincense turn this indulgent formula into an intensely aromatic spa experience while providing purifying and rejuvenating benefits. 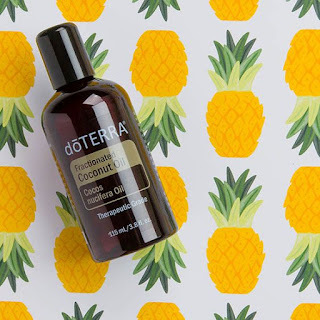 Fractionated Coconut Oil is our Product of the Month! Place any single 125PV LRP order by February 15th to receive this product for free! Fractionated coconut oil is, as the name suggests, Coconut oil with specific components removed. In the non-chemical fractionating process, the components of whole coconut oil that cause it to be solid at room temperature and be susceptible to oxidation are removed. The resulting substance is liquid at room temperature and very stable. Fractionated Coconut Oil provides a number of advantages over whole coconut oil, primarily increased shelf-life. Unlike whole coconut oil, Fractionated Coconut Oil can withstand light and high heat without going rancid. It is also lighter, non-greasy, and has a greater cleansing effect on the skin, making it popular as a carrier for essential oils and as a base for a variety of skin care products. Using FCO with essential oils does not diminish their effectiveness. Melaleuca Touch (10mL) is your Product of the Month! benefits of Melaleuca essential oil diluted in Fractionated Coconut Oil. Melaleuca Touch can be used to cleanse and purify the skin and nails and to promote a healthy complexion. It’s ideal to soothe occasional skin irritations and to use after shaving or on the bottoms of feet for a cooling effect. • Apply to skin imperfections for a cleansing, rejuvenating effect. 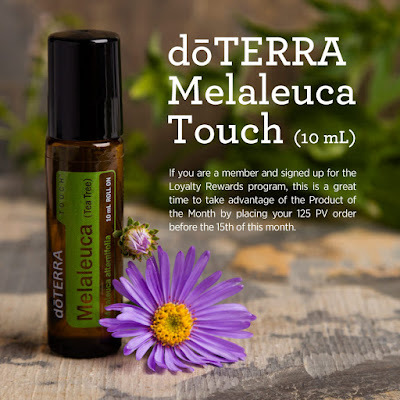 • Use on occasional skin irritations by rubbing Melaleuca Touch onto affected area. • Apply after shaving to soothe and cool skin. • Rub on fingernails and toenails after showering to purify and keep nails looking healthy. • Roll on bottoms of feet and inside shoes for a fresh aroma and feeling. I love it on mosquito bites, takes the itch right off. I hope you have a fabulous February. 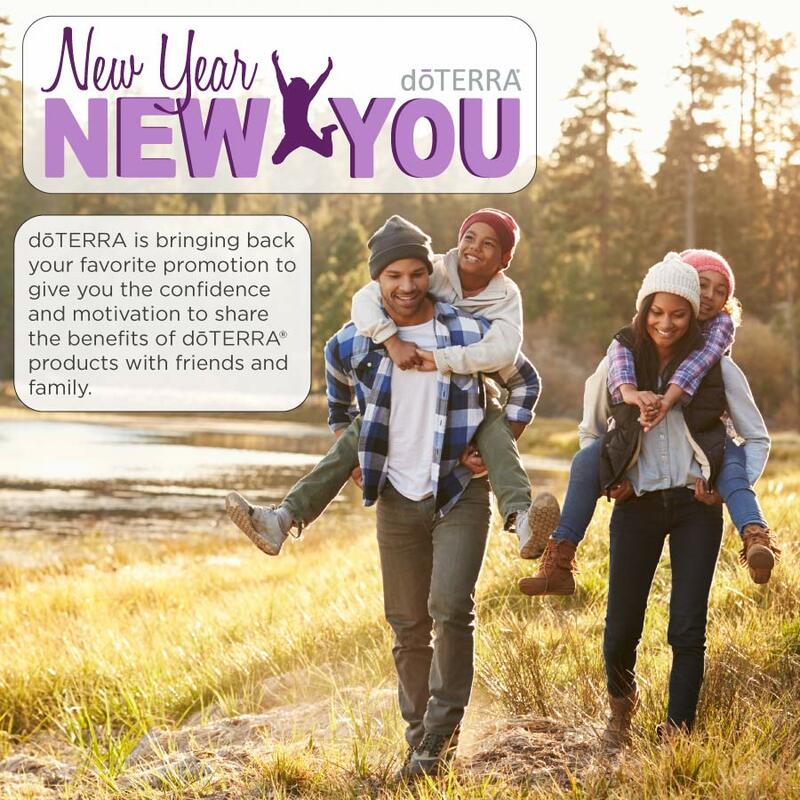 Don't hesitate to contact me if you would like a tailored plan for you for the 100 for 100 or New Year New You, there's so many ways to make up 100PV, we can find what's perfectly suited to you. Contact me via the form on the left of the main page, or via the links below.